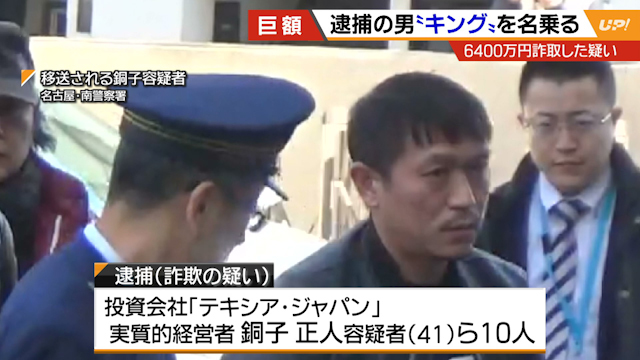 AICHI (TR) – Aichi Prefectural Police have arrested the head of a company suspected of running a member-based Ponzi scheme that accumulated in excess of 45 billion yen from more than 10,000 persons, reports the Nikkei Shimbun (Feb. 13). 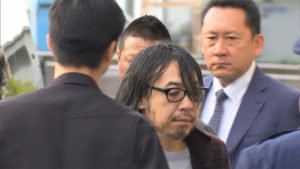 Thus far, police have accused Masato Doko, the 41-year-old chairman of Texsear Japan Holdings, former president Keizo Adachi, 58, eight other persons of defrauding three persons, aged in their 60s and 70s and living in Aichi, out of a total of 64 million yen over a one-year July, 2017. Texsear Japan Holdings, which is based in Chiba City, Chiba Prefecture, began collecting funds from victims in September, 2013. With Doko at the top, the company operated like a pyramid scheme, with members tasked with soliciting funds for supposed investment from within specific regions across the country. These members were then promoted within the company based on the amount of money they brought in. 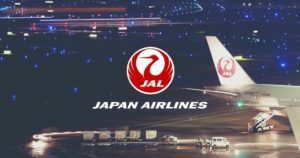 Texsear Japan Holdings subsequently apologized for the delay, with the company citing the reason as being due to investment “in businesses that are expected to grow rapidly.” He also promised to returned the amounts cited in the contracts. However, the majority has not been returned. Among members, Doko is known as “the King.” Often attired in a hat, flashy suit and sunglasses, he sings in a band that performed at events held to solicit investments. 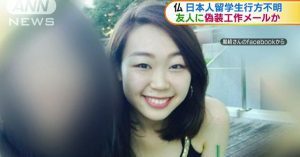 In July of last year, police began raiding locations connected to Texsear Japan Holdings. 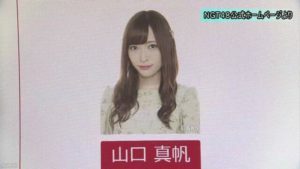 All told, police suspect that the company collected 46 billion yen from 13,000 members.